Fishing is off to a great start! 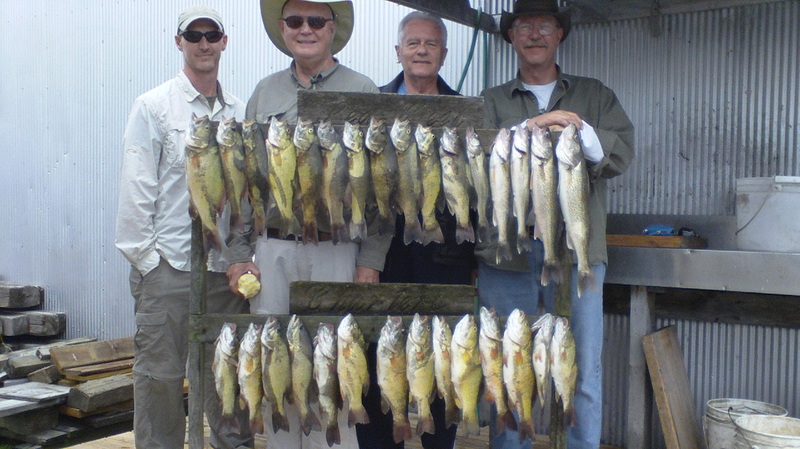 Perch are starting to come in and the Walleye are plentiful! ​Going to be a great season! Weather's starting to cooperate! getting Muskie right now. landed 6 for 7 Tuesday, 6/14/16. getting ready for Bass season! to catch Walleye! a good time was had by all! The sun's out, the water's high, and nailing the Bass... life is good! even with the hot weather, the bass & walleye are plentiful. Great fishing right now. If you like Bass, we can catch our limit! Walleye's are good too. Opening day of muskie season. Largest muskie of the day was 52" long and weighed 38#. It was a catch and release.